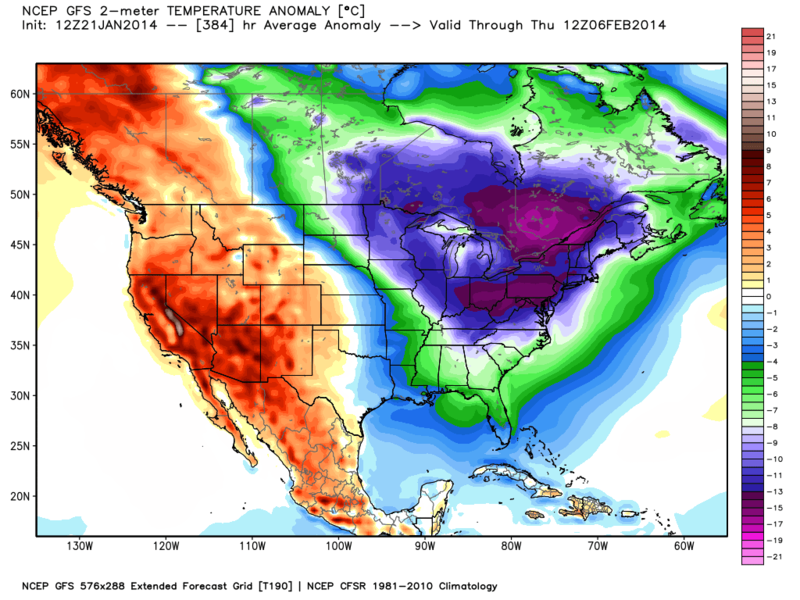 Senior meteorologist on extended USA cold blast to last past Groundhog day: ‘WOW F..ing WOW’ | Watts Up With That? Top post for a day or two, new posts will appear below this one. D’Aleo writes in a follow up email about the forecast graphic below. 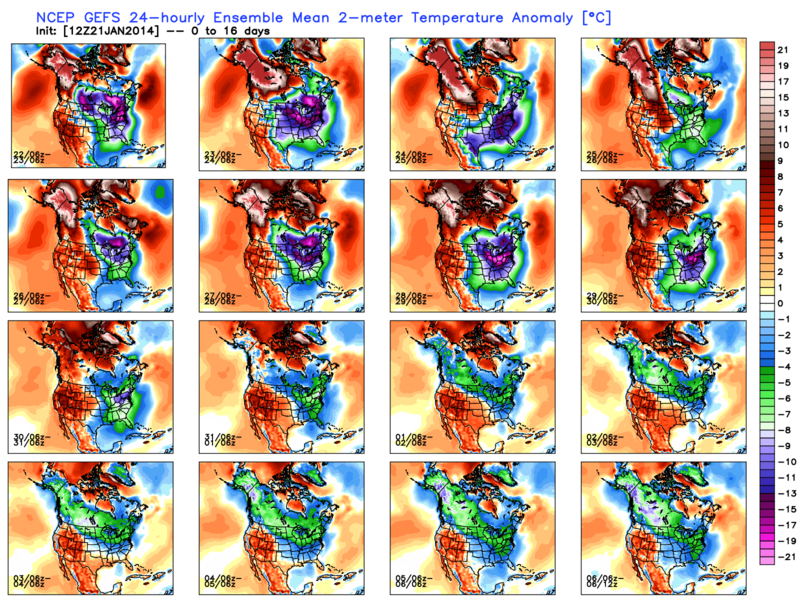 This is the GFS model depiction of the mean anomaly (in degrees C) for the 16 day period through 12z on February 6th. It covers the coldest period of the winter season climatologically in most areas. The other global models agree through at least 10 days. This is the most severe run thus far. We have been alerting clients to it for weeks. Here is the day by day anomaly for the mean of the GFS ensemble runs which agree on the steadiness and generally the severity of the cold. Lets revisit their insightful analysis after the next few weeks. 1917/18 and 1993/94 were winters Joe Bastardi and I have been looking at. 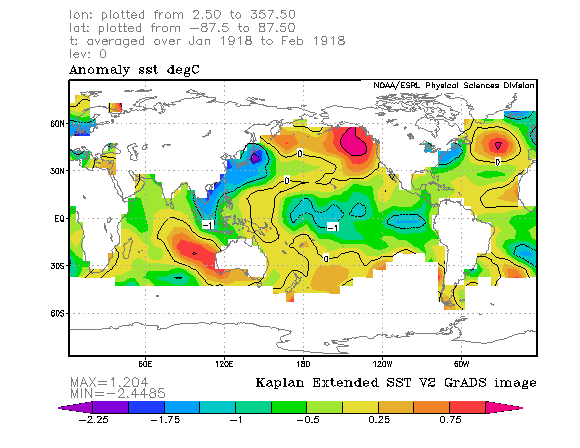 See the similarity of the SSTA in the Pacific in Jan/Feb 1918 to this year. That warm pool in the Gulf of Alaska drives the persistent Alaska and western ridge and downstream cold vortex. That year had an extremely cold January. Powerful stuff. readers may recall that 1918 saw the great flu pandemic in the USA. Federal Government Shuts Down for Snow Storm Offices in Washington, D.C., are closed for the second time this winter. January 21, 2014 in Cold wave, Forecasting, Weather. And on Feb 10, NOAA is going to tell us that January 2014 was the hottest January ever recorded. For the 35 years I have lived in his meteorological shadow, Joe has always been way ahead of the weather. One more TD for my All Star. Umm, readers might remember that 1918 saw a global influenza pandemic. The spread was probably highlighted by the return home of millions of men from the Great War, many in cramped and somewhat insanitary conditions, already weakened by their experiences over the preceding 4 years. If an example must be used to show the effects of a particular weather situation, please use a valid one. I don’t remember 1993/94 but I sure do remember Jan/Feb 1996, which did break or tie state records in my neck of the woods. Minnesota, Iowa, and Wisconsin. Are we talking that level of cold, yet, anywhere? That pretty much lines up with Canadian forecast for the Canadian portion impacted by this system. During this time period on Feb 2nd I here there will be some kind of outdoor event played in New Jersey. Foosball maybe? Really, Joe is THAT old? Wow! This is a very straightforward situation for the weather models to handle. A big longwave pattern over North America with the upper ridge anchored over the west and huge very cold trough in the east. A pattern that is not going anywhere in any haste. My mother lived through that period. She (a nurse) recalled that people who insisted on staying active and going to work had the highest mortality. She never mentioned servicemen as particularly vulnerable. Her brother was in France at the time. The mention of the flu outbreak seems like a non sequitur, unless there’s actually some evidence of a direct relationship (which I’m open to). Just seems like sensationalism otherwise. What drives the warm pool near Alaska and is there any correlation with changes in the upwelling (associated with the global thermohaline circulation) that occurs in the northern Pacific? They’ll still blame global warming ‘climate change’. Now if this was unusually mild weather they would still blame global warming ‘climate change’. No matter what happens it’s global warming or climate change. Heck, even I blame climate change – the naturally occurring kind. strike fail! I’ll try again. They’ll still blame global warming ‘climate change’. Now if this was unusually mild weather they would still blame global warming ‘climate change’. No matter what happens it’s global warming or climate change. Heck, even I blame climate change – the naturally occuring kind. Later that warm anomaly moved closer to the West Coast of the US/Canada, which pushed the cold anomalies East, which eventually caused even Florida to cool down. It looks like this process has continued and will continue for a while yet. Of course, if we get an El Nino, we could probably get cold weather persisting in the Southeast, including *next* winter as well. Richard of NZ says: “Umm, readers might remember that 1918 saw a global influenza pandemic…. It is now know that most of those fatalities were actually the result of aspirin toxicity. Medicos were dispensing the stuff by the half-handful hourly. Once toxic symptoms showed, back off a bit. Look it up. If this keeps up the Government could be closed until March and the economy might recover. Don’t forget that the Farmer’s Almanac predicted this back in August for the Super Bowl…. Can a Rex Block end an interglacial? Oddly, the flu this year is also H1N1 as (finally) enough folks with H1N1 antibodies have died off that that particular ‘remix’ can have a go again… One can only hope that vaccination and the availability of cytocine suppressing drugs can thwart it this time. If I recall my history, in 1918 there was still some question about the role viruses played in illnesses. The concept of viral infection was a relatively new idea at the time, let alone how to deal with same. Someone with a better understanding of early 20th century medicine and theory may be able to correct me or offer a better overview. This is just a taste of what living under the new regime of global cooling that I’ve forecasted will be here officially by mid-December 2017 will be like. 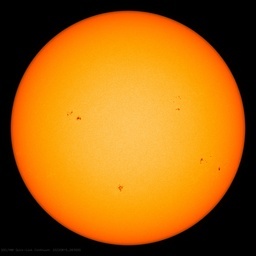 We are now in the transition period between solar-forced global warming (good for the Earth) and solar-forced global cooling, which is bad for the Earth. This anomalous winter of 2014 shows how the circumpolar vortex forces itself south, deeper into the northern hemisphere, and it will even affect the southern hemisphere and those trade winds in the future. Prepare yourselves accordingly, as my calculations have global cooling lasting for approximately 36 years (2017-2053) with the deepest cold, wet conditions along with bouts of drought, that also features brutal sub-zero temperatures during winter seasons to peak in the mid-2030s. All those who claimed that ‘global warming’ was ‘bad’ for the Earth will pray and wish for global warming to return as they burn all the carbon they can get their hands to stay warm and keep from freezing to death. Global cooling IS on the way people, that’s a fact. Weatherspark has a continuous temperature graph. I just did a quick peek and it looks like my town in southern Wisconsin has only been above freezing for about 60 hours since 12:01 am on Dec 5th. This is going to be serious for a lot of people. Over the past few decades I think we have allowed a lot of our infrastructure to slip. We are going to see some serious problems with people being able to stay warm in places like IN, OH, WV and PA. Ohio already declared an “energy emergency” yesterday and suspended all rules concerning driver hours for energy delivery vehicles. Propane and heating oil is in short supply and the roads are bad. Distribution is suffering. Once the lakes freeze over, things could get even colder. The lakes are a significant moderating force in the weather in the surrounding areas. Once they freeze over, not so much. The Great Lakes have an excellent chance to freeze over completely, from Duluth to Kingston. Bout half way there now. So, if it does stay cold will global warming be blamed or will credit be taken for carbon reductions over the past 5-6 years? Are there any predictions farther out? Just curious…..Europe had a pretty wild March last year. Any chance we may see something along those lines here? We have been for quite a while highlighting the return of extreme cold the rest of the month but are questioning the GFS 11-15 day a bit. The GFS probably is overdone in that time frame. JB believes at least the cold core could shift west a bit. In 1918, February warmed in the southeast but it stayed cold northeast and in the west and March was warmer for the CONUS. When I composited all the Gulf of Alaska warm pool years it stayed cold in the same places (though less so) in February then the cold shifted west and south and Canada warmed. Interesting challenges ahead. Next few weeks should be wild at least. Even if it turned out like 1918, the cold north warm south should make it stormy in between in February like late last winter and spring. 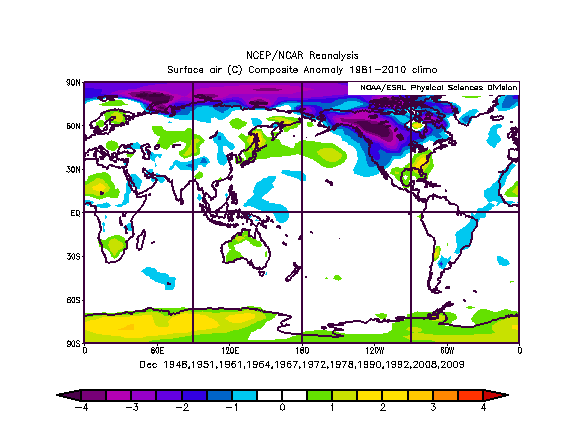 1994 has also been a good analog although it may have been in Pinatubo and in part weak El Nino. “unsanitary conditions” of relevance to contraction of the flu virus, which in fact hit the youngest (and healthiest) the hardest. Nor were “cramped conditions” a requirement for getting the highly contagious flu virus. Nor did D Aleo make any claims of a connection between the weather and the pandemic. He simply noted another well known event during that time period. My grandparents lived through this on a homestead near Saco Montana. What they told agreed perfectly with what jorgekafkazar said. They said that the flu hit some people quite hard and knocked them right off their feet so to speak. They usually lived. For others it was more of a low grade chronic thing and they usually died. They never mentioned mortality having anything to do with being in the war or not, although those returning from service would have of course played a part in spreading the disease. By the way… Saco was’t a very good place to try to grow wheat at that time… climate change I guess :) . Over the next week there will be a lot of cold air from the arctic flooding down across the NH because of the weather patterns. Not only is there a strong arctic blast down across eastern USA. But there is also likely to be a huge shallow area of low pressure setting up over northern Russia. Which will draw a lot of air across the arctic circle and then send this chilled air flooding down across western Russia. At suggestion of a moderate ‘lukewarmer’ climate scientist, I have assembled enough data to show that the Northern Hemisphere climate is directly responding (with somewhat surprising double bite) to the solar activity. If its projection comes to reality then January 2024 will be more like January 1814 rather than the one of 1914. Sever cold impacts hugely the body’s ability to fight and recover from infection. Thanks arthur4563, I was running something like that through my mind – I don’t need to bother now. You want cold? I’ll show you cold! The winter of 1976/77 that everybody 50 or older remembers well. Go to the link below, which will allow you to access reanalysis data(weather maps) from NOAA going back to 1948. There are 4 panels. Look how many times the “circumpolar vortex” is forced south in December/January. You will see it dropping south into Canada numerousl times in December 1976, then at the end of December, into the United States. Again in mid January 1977 it drops into the United States and a 3rd time at the end of January 1977 is in the US. The comments at the beginning of the thread in that link are priceless, best laugh of the day. How would you know if the federal government is working or not, what with EPA employees on sabbatical with other agencies (not) and IRS union workers not really working because they didn’t get their usual massive requested budget increase, and all others in DC on 4-day work weeks with work from home status on the other day? I would note that I independently Identified a connection between the warm anomaly in the North Pacific and the US weather pattern then extant back in December;…..
Several weeks ago, I made an unusually poor comment regarding solar changes and changes in the Pacific NW where I live. Mainly, I did not finish my thought with the reasons which initiated it, and I meant to ask a question instead of making a statement in regards to the thought. What started all of this was the warming right at the end of November. There was a warm flow through the Bering Strait into the Arctic, which slowed down the rapidly growing sea ice. At the same time, nighttime temperatures in No California, where I live, rose 20F. The daytime warmed gradually and lately it has been spring during the day, although the nights are chilling down again. So both the Arctic warming and the warm regional temp develop shortly after the increased solar activity in November. That is why I made a comment several weeks which Alan Robertson responded to firmly, as in what the heck are you talking about. Here is the question I meant to ask ” Is it possible for a rapid increase in solar change to translate to a rapid change in any of Earth,s regions? Could the Pacific Ocean react to the increased solar activity within a short time frame, and is that why I felt such change as I live about 70 miles inland from the Pacific. The atmospherics around here are strongly influenced by the Pacific, and I have always sensed nature, deeply. And here in Northern CA we’re wearing shorts with so little precip that Folsom Lake looks like the river it was before the dam. The expedition leader of the Russian ship, Professor Chris Turney, and the Aurora’s captain will address the media later this morning. The Russian ship’s rescue has delayed Australia’s research program and the Antarctic Division says it will attempt to recoup costs. Professor Turney has been forced to defend himself from criticism that he was too inexperienced to take the ship into Antarctica’s Commonwealth Bay. I have a special request for extra cold at the official (MA) residence of Edward Markey. What is the absolute freezing point anyway? A couple of comments regarding the spread of the so-called Spanish Flu in 1918. First, the epidemic began to peak in Eastern North America in November and December 1918, not the end of the previous winter at the start of 1918. Second, this influenza was known as the Spanish flu because it was first identified as a pandemic when it spread through troops in Europe, and subsequently crossed the Atlantic with returning Canadian and American troops. With this pattern is there any chance of moister for the west coast? No rainy season at all for the west coast so far. They could sure use the rain and mountain snow. A four-hour delay on a passenger field trip in Antarctica may have contributed to the Akademik Shokalskiy becoming trapped in sea ice on Christmas Eve…. “The captain and his staff up on the [ship’s] bridge did not look happy,” said one passenger, who asked to remain anonymous. In addition to the field-trip delay, the director of the Antarctic Climate and Ecosystems Cooperative Research Centre, Tony Press, said the satellite images his organisation provided to the AAE before it entered the sea ice-prone area ”showed where the sea ice was located and the weather forecast predicted increasing winds, which would tell you that the sea ice could move”. From midday on December 23 passengers were transported from the ship on snow vehicles over five nautical miles of ice to the Hodgeman Islands. “Everyone on board was keen to make the journey across the fast ice to the Hodgeman Islands,” said one passenger. A weather forecast predicted 25-35 knot winds reaching 40 knots late in the day. “Despite the wind and extreme cold, the scenery on the journey was spectacular – it seemed unreal, as though we were on a movie set,” said the same passenger. About 2.30pm the weather deteriorated. At the same time Captain Kiselev saw slabs of sea ice moving into the open water channel from which the ship had entered the area. He called for everyone to return. A passenger standing near Professor Turney overheard the voyage leader, Greg Mortimer, telling him over the radio to bring passengers back to the ship so it can leave. But minutes later, Turney drove six more passengers into the field. The overloaded vehicle had no space to collect returning passengers. Turney, Dr Fogwill and Mr Mortimer all declined to answer questions about the events of December 23. The first case in the U.S. was reported January 1918 in Kansas while the troops were leaving for France, not coming back. The first U.S troops didn’t even go to battle until the spring of 1918. Give it a second and let that soak in. What’s intriguing is that South America had a similar cold air deliver pattern exactly 6 months ago during their Winter. Tropical areas that grow coffee had the coldest temperatures since 1994 in July, with areas of Southern Brazil and Argentina seeing record cold and record snows in several outbreaks into August. At the same time, our Arctic was haivng one of the coldest Summers, with big gains in ice vs the prior year. The real intriguing part is that 6 months later, the weather patterns have flipped hemispheres. The Antarctic has had a big blob of cold anomolies moving around(just like the Arctic did in its previous Summer) but staying put for 2 months. Strange coincidence? Maybe. This wasn’t just similar weather but the same most extreme in 20 years weather.that flipped hemispheres. What exerts the same force that flips from the Northern Hemisphere to the Southern Hemisphere,. gradually every 6 months? Of course there is almost no sun close to the poles in Winter and almost constant daylight in the Summer. It could have nothing to do with the sun and this is just what both hemispheres look like in Winter and Summer when we are in a natural cooling mode. In other words, in the Summer, it’s stays colder than nomal at very high latitudes and in the Winter, a pattern for delivery of extreme cold south dominates. That extremely cold Winter of 1976/77 was exactly when the PDO was crossing from negative to positive………and stayed positive thru the 1990’s. I live in Ottawa, Canada, and I quietly chuckle to myself. We are having a very normal winter. My house is warm, my driveway clear of snow. My car starts with no problem. There is lots of snow for the skiers, and ice on the canal for the skaters. Life goes on with nothing extraordinary happening at all. We are looking forward to Winterlude at the end of January, beginning of February. Ho hum. Looking at the global jet stream charts for the next 7days, all l can say is thank goodness there is a Azores high in the Atlantic ocean. Otherwise there would be a real risk of cold arctic air flowing southwards across most of the NH spanning from eastern USA to central Russia. Stands to reason, if you go to work you are in contact with many people thus increasing your chance of contracting the Flu. Great planning by the NFL to schedule the SuperBowl in New Jersey in 12 days. Maybe they’ll move it permanently to the South after this. My bet would be on Montreal where Al Gore closed his Ozone Hole. Vuk – I don’t know if you are right or wrong, but at least you now have more explanations on your wiggly lines, and we can sort of follow your reasoning. Yes, indeed. This year’s Super Bowl could a bigger fiasco then the “Spirit of Mawson” expedition, which at least was not watched live by tens of millions of people. Well I for one, would definitely agree that WW-I definitely took place under the most insanitary conditions. Not only that; the conditions were also very unsanitary. No I wasn’t there, but I heard about it. Chris Turney’s Uni has been churning them out during the AAE fiasco! It’s hard to describe how awesome I think your graphs and charts loaded with all sorts of data are. This is currently feeding an intriguing observation that seems to be connected to your comment above. As an operational meteorologist and also commodities trader, I specialize in pattern recognition and forecast for mainly North America and South American weather. I have noted strange patterns in global temperature anomalies over the past year that seem to fall outside anything I have seen in my 32 years of doing this..
It’s not just 20 year extremes in cold(which in itself appears odd, just because we were in a warming mode in the 1980’s/90’s) but the way the weather pattern in North America and South America flipped in 6 months to be the same as the other one was 6 months prior. An impressive element to this is how both very high latitudes remained unusually and persistently cold during the Summer at both places. My area of expertise is recognizing atmospheric patterns and how they effect weather but I need some assistance(maybe we all do) in determining the underlying cause for this. I am wide open for explanations that involve the sun, an interaction with our planets changing magnetic field and the oceans…..or something else that makes sense. Dr. John Haldren’s explanation makes no sense to because both the Arctic and Antarctic had extremely cold Summers this past year. His explanation assumes that those regions getting warmer is what is causing this. 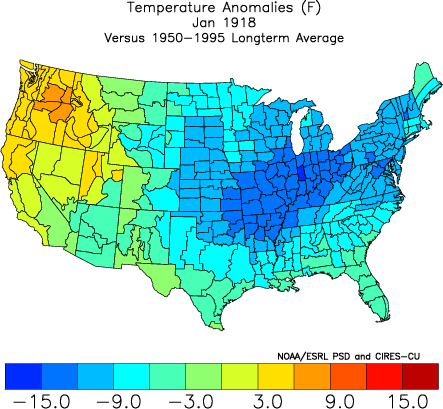 My observation/puzzlement is specific to only the past year of the extremely cold anomalies. Global warming has really taken hold of the US again! 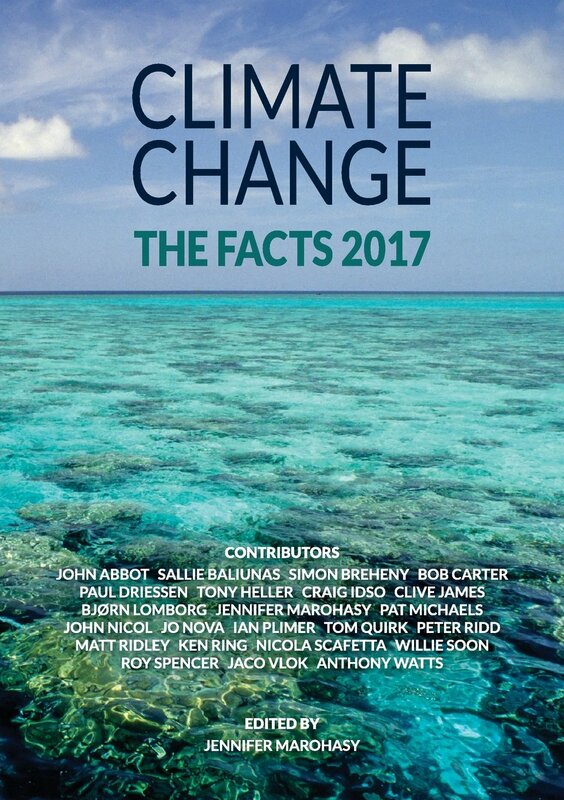 ABC radio news keeps repeating Gavin Schmidt’s claim that 2013 was the 4th hottest evah. Always publishing the propaganda. Valid criticism but it would be interesting to read a summary of this horrible event from someone knowledgeable about the breakout. Did it in fact affect the returning soldiers the most? Did it start before the war ended? Were soldiers most affected? Thanks. Only thing I am very concerned about is that the data I use is the best I can access, but I do admit the labelling often could be better. Just for fun of it, I did occasionally try to offer interpretation suggestion a physical mechanism, but got shot down far too often (actually every single time). p.s. Google says::Ralph Silver – the man with the perpetual smile. So, who needs that Pennsylvania rat when we’ve got the dynamic duo of Bastardi and D’Aleo. And according to our local (Buffalo) on-air prognosticators who’ve tied in with WeatherNation, this cold will go on into mid-February … makes this winter even more of a pain in the posterior than usual. I’m more than ready for spring … is it here yet? They were already sick when they went to work, old. Thanks for the update from Joe D’Aleo. It seems that Joe Bastardi was right on his WeatherBell video last Saturday. I had to wait till Sunday afternoon to watch it as their server was apparently overloaded with viewers. Thank you for the information on the 1918 flu pandemic and aspirin. I remember the extremely cold winter of 1977 very well indeed. That was the winter during which I swore I’d never complain about the heat in summer again, and I have kept that vow. Bring on the heat and humidity! Mythical NFL meeting in 2004 where the owners of the Giants and Jets are proposing to the other teams to host the 2014 Super Bowl in their yet to be constructed new stadium. Owners of warm weather teams are arguing against the New York proposal since it would be the first cold weather outdoor Super Bowl in history and they believe the risk is too great for a frozen field and may be bitterly cold for the fans. The owners of the Jets and Giants assure the other owners that they have hired some of the best minds in Climate Science (known as the Team Consultants Inc) and have been assured 97% of all Climate Scientists believe in another 10 years snow and cold weather should be a thing of the past in New York. The New York Jets representative speaks ” Now we are not saying that Palm Trees will be lining the streets to the stadium but we have confidence in our Climate Team and they have 95% confidence that it will be balmy and remind everyone of October weather” The Dolphins owner pipes up ” I have just read that rising sea levels may be up to the Statue of Liberty’s navel in another 10 years, I am concerned that the stadium could be under water by then” The Giants CEO replies ” We have contingency plans for that and have hired top notch engineers from Holland to design dikes to protect the stadium.” With those assurances, the NFL owners vote unanimously to have the 2014 Super Bowl in New York City. Now you know the rest of the story. For those whining about the outdoor, slightly northern location of the Super Bowl – this is one of the best decisions the NFL has made in a very long time. The only things that would make it better would be game time temps of about 0 F (and falling), with falling snow. Old time football, coach! Unlikely to get that weather combination in NJ, but a guy can dream. @goldminor-That’s a good question. As far as I can tell, the thermal inertia of the Earth system is such that the effects of a change in solar activity could not likely occur immediately to any significant degree, buuuuuut, there should be some response near instantaneously-just significantly muted. The full effects would only be felt later, when the system has had more time to adjust. In your particular case I think that more likely, that simply represents the natural internal variability of weather, especially on regional scales. No comment from the groundhog? The source(s) of these weather outlooks are some of the best and well known in the business and I appreciate you sharing their knowledgeable insights. I will just share my own outlook, which often attempts to be ahead of those in the industry that are used by the big commodity traders that have the most impact on prices. In particular, related to the cold is heating oil and natural gas. Heating oil has spiked higher the last week based on the most extreme cold effecting the Northeastern US these last 2 weeks of January. Natural gas had most of its move higher in November until just before Christmas. Even the record breaking cold wave in January could not push it to new highs because supplies started so high at the beginning of the heating season. However, the return of the cold in weather forecasts since early last week, has allowed it to recover within striking distance of the December highs. Question is, can we make new highs in natural gas? Answer: if the cold continues extreme with only brief reprieves for more than 2 weeks, then yes. However, I see the AO and NAO going positive next week and the PNA working negative. This “usually” means warmer in the US, especially the Eastern US. It suggests the target for the cold will shift farther west. Ordinarily it means the Eastern half of the US warming to above normal in Winter. However, we had a very unusual Nov/Dec, because in spite of a positive AO and NAO, extreme cold poured from a path farther west than its usual source and managed to get farther east than a typical +AO +NAO allows.. So I have moderate confidence of a pattern change later next week. Possibly back to one similar to November/December. So far in January, a big upper ridge has dominated the west all the way up to Alaska with dry and record warmth and deep low/trough down stream in the east. At the end of January a new stronger ridge will be building farther west in the Eastern Pacific with a positively tilted extension, northward to very western Alaska, continuing to Siberia……similar to the Nov/Dec ridge. Siberia will return to record warmth like it had in early Winter and the bitter cold air that usually brews there, will be flushed south through Western Canada(eastern AK may get very cold). With an upper level low/trough developing in sw Canada to possibly the Pac Northwest, the big question is how far can the bitter cold travel south if a sw component to steering currents down stream from the trough across the continental US develops. Earlier this year, the answer was as far as the extremely cold dense/heavy air in the lower levels wanted to go(southward) undercutting the upper levels and stopping just shy of Florida, which remained very warm in December. Will this be the case again as we start February, also providing an environment favorable for ice storms(cold surface/warmer aloft)? Or will the extreme cold have more resistance this time? When the source region of the air mass is Siberia, the cold in the lowest levels is not handled as well by the models and can be hard to stop headed south. This is the 500mb height pattern from the GFS ensembles at 360 hours showing the anomalies. Both patterns pull down extremely cold air from high latitudes and take it south through Canada (where, by their norms is not that unusual) and if not moderated much by the time it hits the US, is considered extreme. The current pattern(shown 2nd) directly targets the Upper Midwest/Northeastern sector of the US with extreme cold. The one shown first shifts the target much farther west, with the cold slowly running out of steam as it spreads southeast but potentially getting fairly far south. It would mean much less cold however, for the East Coast that is currently getting getting hammered with snow and frigid weather. I like the way you think, LKM! Hey Shakespeare! Shut yer pie hole and let’s play football! Well, the newsies (& a few government-paid “scientists”) have been harping on the Next Big Flu Pandemic® every year since I can remember, so it’s gotta happen soon, right? Or was that monkey pox that was going to kill us all? I always forget. GISS: tied for 6th with 2003. As of November, Hadcrut3 was 6th and Hadcrut4 was 8th. I live in VA. It just went below freezing with an Alberta clipper system and we won’t get above freezing for several day. We likely won’t get out of the 30s for weeks. 2 weeks ago it was below 0. I am 41. This is the coldest winter I have experienced in this area since the early 80s, at least. A sleepy Sun usually does that. We could have been preparing to adapt to colder climate to save lives and preserve economic activity. Instead we threw hundreds of billions of dollars down a rat hole. Lots of pretty charts and graphs in this following article. “A newly-uncovered and monumental calculating error in official US government climate data shows beyond doubt that climate scientists unjustifiably added on a whopping one degree of phantom warming to the official “raw” temperature record. Skeptics believe the discovery may trigger the biggest of all “climate con” scandals in Congress and sound the death knell on American climate policy. Independent data analyst, Steven Goddard, today (January 19, 2014) released his telling study of the officially adjusted and “homogenized” US temperature records relied upon by NASA, NOAA, USHCN and scientists around the world to “prove” our climate has been warming dangerously. I moved up to Humboldt Co in late spring of 1975. The winter of 1974/75 had been below average. This was then followed by an extremely dry winter, 1975/76. If I remember right there were some early rains in September, a bit of rain in October/November, and after that there was a negligible amount all the way till 6/6/1976, when a medium rain came through. It then continued to stay dry well into the next winter. The spring feeding my water tank went dry for the first time, ever. The area would normally average around 30″ a year. That really was an extreme change. So it is possible that parts of the Pacific NW might not see more than a dribble until next winter. Coldest winter here on the Gulf Coast since 1977/78. Palms and citrus are dead, or soon will be. plumbing, pipes etc. Rolling blackouts likely!!! Need more coal fired electricity NOT less. Umm, readers might remember that 1918 saw a global influenza pandemic…. My Grandfather was one of the ones who died. Left Grandma with five young kids to raise alone. She put all of them through college too. Obama’s State of the Union Address is is January 28, 2014. Looks like the Polar Vortex Sharknado will be hitting. I guess Obama made the mistake of inviting Al Gore…. Wunderground is calling for “30 percent chance of snow. Highs in the mid 20s. Wind chill values as low as zero in the morning.” Lows 10°F to 15°F the night before. Be nice if washington DC gets another big snow storm. I wonder how Obama is going to spin it into Global Warming causes blizzards this time. The years 1975 through 1977 were the pivotal point of the climate shifting. The warming starts after that. I’ve added another sweatshirt to the layers just thinking about it. There is a logical fallacy here. If this cold snap is a result of the (cold) Artic air escaping southward, how is it melting sea ice, where it came from? Unless we are talking of some different substance, this air won’t melt any ice. On the contrary. I’m American by birth, but live in icy Toronto by the accidental twists and turns of life. I’d just like to remind you, Mr. Turner, that there’s a wee, tiny little country, only slightly bigger than the USA, to the north of most of the US. Canadian troops joined in the First World War in 1914, and were returning maimed and injured after taking parts in some of the most brutal actions in France for four years before most Americans went overseas. The famously held the line during the first battle in which Fritz Haber oversaw the deployment of chlorine gas against French, Canadian and British troops at Ypres in 1915. This would likely have severe effects long-term effects on the respiratory systems of those exposed to it, as would subsequent gas warfare. This would surely make individuals more susceptible to the effects of flu? As far as I know, diseases don’t require passports and don’t honour borders. After reading a lot of material over the last two years, I convinced myslf that, at least in the N.H., we were going to see some very frigid weather. So I did the obvious things October: locked in a low natural gas rate for my home, and bought some natural gas futures. My only question is, when do I sell my futures (they expire in April) and take my (hefty) profits? They should go up in value as long as the weather is primarily colder than average, particularly in the East. BTW, I owe more than a few of you a drink for the data that led to my investment! Richard of NZ copped a lot of flak for saying pretty much the same thing. The wiki article also mentions aspirin contributing to the death rate, and cites a study identifying a troop camp in France as the center of the outbreak. I suspect that those railing against NZ Richard are just trying to glorify that stupid war. As for the “cytocine suppressing drugs” mentioned by E.M Smith, you don’t need them. 13.Geiler J, Michaelis M, Naczk P, et al. N-acetyl-L-cysteine (NAC) inhibits virus replication and expression of pro-inflammatory molecules in A549 cells infected with highly pathogenic H5N1 influenza A virus. Biochem Pharmacol. Feb 1;79(3):413-20. Edward Markey is in Malden MA where it is 12.1 °F and snowing. They are expecting 4 to 8 inches and wind gusts to 35 mph. I keep hoping for a pattern change but it doesn’t happen. The water situation is going to be desperate in California very soon. We need rain/snow! our local (Buffalo) …this cold will go on into mid-February … makes this winter even more of a pain in the posterior than usual. At least I had the good sense to leave the area east of Buffalo NY/ Londonderry NH f and head to mid NC just below the snowline. I have shoveled my quota of snow for my lifetime. I remember the extremely cold winter of 1977 very well indeed…. So do I. That was the winter I loaded the trunk of my car with bags of sand. Good thing I did because a semi got stuck across the driveway at work and blocked the entire factory in. Two bags of sand got him out of the way. I also had cross country skis with me. No way was I getting stuck at work! Using the guinea pig as a model host, we show that aerosol spread of influenza virus is dependent upon both ambient relative humidity and temperature. Twenty experiments performed at relative humidities from 20% to 80% and 5 °C, 20 °C, or 30 °C indicated that both cold and dry conditions favor transmission. The relationship between transmission via aerosols and relative humidity at 20 °C is similar to that previously reported for the stability of influenza viruses (except at high relative humidity, 80%), implying that the effects of humidity act largely at the level of the virus particle. For infected guinea pigs housed at 5 °C, the duration of peak shedding was approximately 40 h longer than that of animals housed at 20 °C; this increased shedding likely accounts for the enhanced transmission seen at 5 °C. To investigate the mechanism permitting prolonged viral growth, expression levels in the upper respiratory tract of several innate immune mediators were determined. Innate responses proved to be comparable between animals housed at 5 °C and 20 °C, suggesting that cold temperature (5 °C) does not impair the innate immune response in this system. Although the seasonal epidemiology of influenza is well characterized, the underlying reasons for predominant wintertime spread are not clear. We provide direct, experimental evidence to support the role of weather conditions in the dynamics of influenza and thereby address a long-standing question fundamental to the understanding of influenza epidemiology and evolution. In temperate regions influenza epidemics recur with marked seasonality: in the northern hemisphere the influenza season spans November to March, while in the southern hemisphere epidemics last from May until September. Although seasonality is one of the most familiar features of influenza, it is also one of the least understood. Indoor crowding during cold weather, seasonal fluctuations in host immune responses, and environmental factors, including relative humidity, temperature, and UV radiation have all been suggested to account for this phenomenon, but none of these hypotheses has been tested directly. Using the guinea pig model, we have evaluated the effects of temperature and relative humidity on influenza virus spread. By housing infected and naïve guinea pigs together in an environmental chamber, we carried out transmission experiments under conditions of controlled temperature and humidity. We found that low relative humidities of 20%–35% were most favorable, while transmission was completely blocked at a high relative humidity of 80%. Furthermore, when guinea pigs were kept at 5 °C, transmission occurred with greater frequency than at 20 °C, while at 30 °C, no transmission was detected. Our data implicate low relative humidities produced by indoor heating and cold temperatures as features of winter that favor influenza virus spread. I would also add that vitamin D levels are lower during winter months for a large portion of the population, which contributes to overall immune system weakening. I’ve had 1 flu short the past 15 years, then learned that the best protection is a strong immune system. ….. bought some natural gas futures. And just moments ago CBS News ran the claim that 2013 was the fourth warmest year and the last four years were the four warmest in history. How is that for “responsible journalism”? What a sick joke. One really has to wonder what foul-smelling bodily orifice these people get their numbers from. It certainly isn’t located behind their eyes. I must say – looks like you’re funding the energy companies, rather than the other way around. Interesting twist on alarmist claims that skeptics are funded by energy companies. Influenza Virus Transmission Is Dependent on Relative Humidity and Temperature…. The general lay of the land in CA is a result of the overarching conditions of the past 3M years. Take any succession going on here and the imprint of both the Pleistocene as well as the current interglacial are there. During a glacial it can get very, very dry here. Kinda like planning a vacation and bringing the wrong clothes. Eventually you figure out you made a mistake. Our clothes are affordable energy to those most needing it in this instance. If this weather happened in the EU block countries, with all those alternative sources, how would they fair comparativly speaking. The good olde USA is marching down that same path as I type. I would think it a valid question………. “So I did the obvious things October: locked in a low natural gas rate for my home, and bought some natural gas futures. You being long natural gas since October, means this would be considered a position trade and you’ve done extremely well. I never hold or advise on position trades, knowing how unreliable weather models are going out beyond 2 weeks. However, just some thoughts. If your futures expire in April, then you must be long May natural gas, NGK4. In Oct, natural gas got clobbered with NGK4 plunging from $4.0 to $3.5 at the start of Nov. This would be $5,000/contract for those that don’t follow. This was mainly from increased supply coming on line out east as well as a very warm weather outlook into early Nov at the time. Large funds sold something like 50,000 contracts, pummeling ng futures and feeding the move lower. Unfortunately for me, I got long a bit too early before Halloween and got my clock cleaned for a few days………..but timing is everything for short term traders like me. For you, I would pay watch the $4.25 area of enormous resistance. NGK4 has hit that area of major resistance numerous times in the last 18 months and each time it was rejected. If we keep the cold going well into Feb, I feel it can finally punch thru and go higher. If it turns milder in February and stays that way into March, you will see some of your profits erode. We are currently just below $4.2 and almost at that major resistance. There are other things to consider besides weather and with natural gas, the farther into the residential heating season we get, the less it tends to react to weather forecasts since there is less time to erode/use up the amount in storage. The move up to start this week was impressive though. I am a short term trader that uses changes in weather patterns that cause reversals in the price of markets that are greatly influenced by the weather to make a living. The current set up for me is to see a drastic change to much warmer temperatures in the key residential heating regions(especially the Midwest/East) to sell on……..BEFORE the market has reacted downward. I am not predicting this will happen, just stating what needs to happen for my set up to result in an action of selling/shorting. bearish if it turns warm here. Last year, we continued with drawdowns until the first EIA report in April. Of course this caused ng to have a nice rally, starting in Feb last year. If we are warm in Feb/Mar of 2014 just the opposite could happen this year. Don’t stay long if we have a couple weeks of warm weather in the next month. Again, that’s not my prediction at the moment. You probably already have this link. You can use it to get the historical storage reports, including last years, the 5 year average and more. You will need to figure it out for yourself on when to cover the position as I can’t tell you right now what temperatures will be like in Feb/March. Based on how the market is acting right now, it thinks alot more cold is coming. You could always just put a protective sell stop in to preserve a defined portion of your profits and continue to raise it as the price goes higher, and have it take you out if the market starts trading warmer weather. Just below $4 might be a good spot which would be below this weeks lows. If we get decisively above $4.25, then you could raise the sell stop to a bit below $4.25. Yes, and simply wash your hands/cover your mouth. Cold does in fact add another risk for vulnerable people to deal with. At the moment it is 5.9*F on my front porch. I WONDER IF PUNXSUTAWNEY PHIL IS A WARMIST? A couple of weeks later the Northeast had it’s own “Blizzard of ’78” from a different system. Oh. And in 1994 the all time recorded low for Columbus Ohio was set at -22*F.
Let me pose that in Maine we are blessed by being north of the dip in the jet stream. The cold high is here but the real misery is to the South of us as the storm moves off shore. God gave us snow makers to carefully place the white stuff on ski slopes. We will put another log on the fire, open the damper, put our feet up and enjoy our winter. Most Mainers over two expect that this is the period when the ponds get hard and it is relatively cold and snows in Maine. Every other vehicle has a plow on it and three hours after the snow stops, with the exception of the piles who would have thought there was a mess? Ice storms are our nemesis but even then If you have your wits about you, the weather is absolutely gorgeous a wonderland for winter activities and the surfing season is now. Slow down, be more considered in what you attempt and be prepared so the expected weather is awesome and not a threat. Six weeks from now we will be considering mud season. Several weeks ago it was -15 F for a stretch. My friends who barely put up with my rants against the antiscience of the AGW crowd had a good laugh when I confided that I knew the idiots were wrong but I prayed they were right. The cold is an unforgiving thing. Think most would agree that it is better to sweat than shiver. Unless already posted I think you are overlooking this as well looks pretty extreme here as well!!! It should always be remembered that how “bad” the weather is is relative to where someone lives and what they are used to. Where I live a parking space might have a parking meter downtown. When I was in Calgary Canada a parking space had an electric outlet so people could plug in their oil pan heater whether the space had a parking meter or not. On the Yahoo link, blaming global warming for the cold, it states “The Arctic is quickly losing sea ice” which is patently false. I must assume that they have bought the propaganda. The important thing in propaganda is not what you say, it’s what you don’t say. Don’t mention that all that sea ice that formerly was disappearing has all come back, and the news media will assume it is still gone. Their science reporting is dismal anyway, they seldom if ever bother to check any statements made by anyone, but just assume “appeal to authority” makes it true. Heck, I can find out with a few keystrokes. Keep doing what you do. You have had my attention for quite some time. I don’t know the answers but you offer pretty good relationships in your graphs. If you post it I’ll be looking at it. But then that begs the question …. who am I? The answer to that [may] be just some lurker with eyes wide open. The inside story of how a polar expedition went terribly wrong, leaving dozens of tourists and scientists trapped in the ice. In the days following their rescue, Turney said the insurance claims were “yet to be discussed”. “Who is paying? At the moment, we’re not sure,” he said…. This account has been reconstructed from interviews with members of the Australasian Antarctic Expedition 2013/14, most of whom wished to remain anonymous, who witnessed events or overheard conversations, and the report the voyage leader, Greg Mortimer, submitted to IAATO. Mortimer declined to comment on his report. The Shokalskiy’s captain, Igor Kielev, did not respond to Fairfax Media’s emails. Chris Turney and Chris Fogwill, the expedition leaders, also declined to comment on specific questions regarding events on December 23. Nicky Phillips and Colin Cosier travelled on board the Aurora Australis as part of the Australian Antarctic Division’s media fellowship program. And just moments ago CBS News ran the claim that 2013 was the fourth warmest year and the last four years were the four warmest in history. How is that for “responsible journalism”? ‘They’ have wonderful timing don’t they? Releasing this ‘headline’ at this time with a cold snap en route … maybe this is their weak attempt to cheer us up? A couple of weeks later the Northeast had it’s own “Blizzard of ’78″ from a different system. I don’t think those storms were particularly cold, certainly not the northeast’s Blizzard, see my account at http://wermenh.com/blizz78.html Best drive ever in a snow storm for me! Mabe the west will have a late rainy season in late febuary on into march that brings record breaking precip? It has happened before I suppose. So Al Gore is in Washington for the next two weeks? Perhaps AL can make even more money by being paid not to visit. I hope it [warms] up before February, I am going back up north at the end of the month. The last round of cold weather in western North Dakota my sons water frozen up on his manufactured home, when he crawled under it to check the heat tape he had a remote thermometer he could not find anything warmer than -27 F. I don’t want to return to that. I would [rather] remain in AZ after all it was 82 F today. Thanks for the info and the link. I’m watching three things: the weather (45 day Accuweather extended forecast), in-ground storage forecast and NG price. If the forecast calls for primarily above average highs, I’ll take my profit (they currently show 36 of the next 45 days being below average for the Mid-West and East). If the projected end of the season underground storage is above 1 T cu ft when NG prices hit 4.50 (which it should if hit we go Feb and Mar with consistently below avg temps), I’ll bail. I’m not sure what I’ll do if projected end of the season storage is at or below 1 T cu ft, since that would put NG storage supplies in a crisis state, and prices would soar. I hope that doesn’t happen. Making money is nice but not if it stems from a situation that could cause great harm to many. Fun to watch. 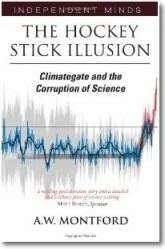 More fun to make money by being a contrarian to the ‘settled science’ of CAGW. Good luck with your trades. I’m not sure what I’ll do if projected end of the season storage is at or below 1 T cu ft, since that would put NG storage supplies in a crisis state, and prices would soar. I hope that doesn’t happen. I hope it does. What this country needs is a close call on a natural gas shortage that gets heeded. I don’t know if it will be enough, but nothing short of that will stop the EPA from shutting down countless gigawatts of coal fired powerplants. For once those plants are shut down, and the EPA will have them scrapped one way or another, the next cold winter will grow into a full blown early 70’s Natural Gas shortage with closed factories and schools. David had his charts lining up for the cold weather in 2015. But it seems we have quite the massive cold spell in 2014. It will be fascinating (and scary) to see if the rest of this year matches the curve, whether this is just a precursor to an even more damaging 2015 freeze, or whether the pattern diverges from here. Seriously people! What is the “norm” he is using for this anomaly map? The eastern US has had unusually mild winters for the last 30 years (usually). Even when if get a big snow, it rarely goes subzero anymore. I remember that in the midatatlantic states we would always get about a week or two at the end of January-beginning of February where the daytime highs might be in the teens and that, combined with some wind, made hot cocoa and slowly dripping faucets a regular thing. Joe can get as hyperbolic as he wants. The eastern US can take the cold. US soldiers returning from the Great War didn’t have a 4 year experience, and soldiers in the trenches were healthier than just about anyone else alive at that time. They were hardly physically “weakened” by the war. more likely just the opposite. Arthur, I don’t have a clue where you got that information from, but conditions in the trenches were notoriously horrendous. Large numbers of men died from tuberculosis and other diseases. Influenza was also a huge problem that war conditions and travel definitely helped spread..
“The 1918 has gone: a year momentous as the termination of the most cruel war in the annals of the human race; a year which marked, the end at least for a time, of man’s destruction of man; unfortunately a year in which developed a most fatal infectious disease causing the death of hundreds of thousands of human beings. Medical science for four and one-half years devoted itself to putting men on the firing line and keeping them there. Now it must turn with its whole might to combating the greatest enemy of all–infectious disease,” (12/28/1918)…. …The Great War, with its mass movements of men in armies and aboard ships, probably aided in its rapid diffusion and attack. The origins of the deadly flu disease were unknown but widely speculated upon. Some of the allies thought of the epidemic as a biological warfare tool of the Germans. Many thought it was a result of the trench warfare, the use of mustard gases and the generated “smoke and fumes” of the war…. …. The origins of this influenza variant is not precisely known. It is thought to have originated in China in a rare genetic shift of the influenza virus. The recombination of its surface proteins created a virus novel to almost everyone and a loss of herd immunity. Recently the virus has been reconstructed from the tissue of a dead soldier and is now being genetically characterized. The name of Spanish Flu came from the early affliction and large mortalities in Spain (BMJ,10/19/1918) where it allegedly killed 8 million in May (BMJ, 7/13/1918). However, a first wave of influenza appeared early in the spring of 1918 in Kansas and in military camps throughout the US. Few noticed the epidemic in the midst of the war. Wilson had just given his 14 point address. There was virtually no response or acknowledgment to the epidemics in March and April in the military camps. It was unfortunate that no steps were taken to prepare for the usual recrudescence of the virulent influenza strain in the winter. The lack of action was later criticized when the epidemic could not be ignored in the winter of 1918 (BMJ, 1918). These first epidemics at training camps were a sign of what was coming in greater magnitude in the fall and winter of 1918 to the entire world. The war brought the virus back into the US for the second wave of the epidemic. It first arrived in Boston in September of 1918 through the port busy with war shipments of machinery and supplies. The war also enabled the virus to spread and diffuse. Men across the nation were mobilizing to join the military and the cause. As they came together, they brought the virus with them and to those they contacted. The virus killed almost 200,00 in October of 1918 alone. In November 11 of 1918 the end of the war enabled a resurgence. As people celebrated Armistice Day with parades and large partiess, a complete disaster from the public health standpoint, a rebirth of the epidemic occurred in some cities. The flu that winter was beyond imagination as millions were infected and thousands died. Just as the war had effected the course of influenza, influenza affected the war. Entire fleets were ill with the disease and men on the front were too sick to fight. The flu was devastating to both sides, killing more men than their own weapons could…. Jet stream moves to already very far to the south. I note the Yahoo story says we are “frying eggs on shovels” in Australia. It neglects to mention that temperatures in much of the northern part of Oz have been considerably lower than average during most of January. While Adelaide had maxes in the mid 40s (celsius), Alice Springs was basking in low thirties. Of course not as many people live in the north, so southern warmists overlook the effect of its temperatures on the national average. Thanks for your comments. I get regularly ‘castigated’ by Dr. S. To be fair he’s been very helpful in providing information, without his sometime direct help and the regular appearances on the WUWT, I wouldn’t have done even 10% of the so called ‘research’. I have a sneaky feeling that in a way he wants this controversial stuff to come out so he can deny and run it in into the ground while he is still around. Back to sun and the climate. I think what is happening is that solar ‘thing’ has a double bite at the cherry, first directly and secondly some years later via rather complex feedback provided by our ‘terra amata’. S. America is ‘lucky’ to have ENSO, circumpolar 4 year wave oscillation, geomagnetic equator and finally S. A. magnetic anomaly. Only thing I could say is good lack with your forecasting. Several people have been critical of the linking of the disastrous “Spanish Flu” outbreak in 1918, with the weather, arguing that there was no connection between the two. However, there may be a connection if the theory of the great British cosmologist, Fred Hoyle, and his Indian colleague Chandra Wickramasinghe, is correct. They claimed that the flu viruses originate in outer space and they mention the spread of the 1918-19 pandemic as evidence. Further to my previous message here is some more information from the writings of Hoyle and Wickramasinghe on the link between influenza and the winter weather. I have shortened it by omitting some paragraphs. days. It is still the same as it was a century ago. States it took three weeks to go from Boston to New York. conditions for travel there were the worst in living memory. that life could be distributed on a vast cosmic scale. may catch from other people. I remember about a two week period of heavy snow and brutal cold in Pittsburgh sometime in Jan or early Feb 1977. I have never seen anything like that since then, although Jan 1996 saw so much snow they closed the interstates in eastern PA and NJ for three days. 21 Jan: BBC: Andrew Luck-Baker: Why did Antarctic expedition ship get stranded in ice? It may not be provable either way. Whatever the truth, some of the paying passengers on the Australasian Antarctic Expedition 2013 spoke unfavourably about the manner in which the situation at the islands was handled. Everyone I spoke to asked to be quoted anonymously, mindful of the considerable media interest that may await in Tasmania. You forgot to include in your post an explanation of how in the near absolute zero of space a virus would evolve (or be created?) with exactly the membrane configuration RNA sequence for transmembrane infection of human cells, reverse transcriptase another enzymes to work with the human genome to achieve replication of both the viruses RNA and nuclear sheath, developed a strategy for evasion of the human immune system and had just the right characteristics for airborne transmission. I don’t subscribe to any of the life-from-space theories, in Holye’s case such ideas came I think more from religion (pantheism) than science. Evolutionists forget to explain how the same (spontaneous creation of enzymes needed for first life form) could have happened on Earth. They just shrug and say, given long enough time it just happens but never actually compute the probability; hint, it is ludicrously improbable and doesn’t work out for a planet that is only 4.5 bn years old. If life on Earth and Hoyle’s panspermic flu have the same origin your question is answered. Personally I don’t think the flu has a panspermic origin but I just wanted to point out a possible solution for the apparent paradox you mention. Here in the south, we all learn very quickly that cold air from the north and warm moist air from the gulf, along with a strong jet stream, causes bad weather. The weather pattern we are in is similar to what we saw in the 70’s…..Extremely cold weather in the east and drought conditions in the west. Are we in store for a spring that resembles the ’74 outbreak of tornadoes? 2011 was terrible. Also, you know as well as I do that if this happens, all the AGW folks will be screaming “See…..We told you so”! Spanish flu is H1N1 and we are seeing a variant of H1N1 this year. Oh, by the way no-one living in Europe know that it is freezing cold all over the USA at the moment. – Maybe that is because, right now, it is very – unseasonably – warm in most parts of the EU. No White 2013 Christmas for the southern half of Norway (60 deg. N). – That’s a first in my lifetime (start 1940). Maybe the MSM don’t think it is worth rocking the boat/cradle while the going is good. After all; most of the “the little darlings/people” (or sheeple) to whom they have been telling ‘good night stories’ are still in a deep sleep. Anyone remember deep south (Texas) saw the coldest weather ever recorded in the 1980s? It was in the single digit temperature even as far as San Antonio and Houston. I clearly remember it because in Houston, the outdoor fish pond had a thick layer of ice that I could walk on. Not sure what the rest of USA experienced. Someone brought up vitamin D. Vitamin D deficiency is very common during the winter. It makes it a much more likely for us to get sick. We’ve been taking it at the right dosage for years now and I can tell that it works very well against flu, cold, sinus infection, allergy attacks and so on. 1918 also saw a very severe summer drought in Texas. All the ponds dried up and everyone had to haul water. Richard of NZ, I think your time line is wrong there were few soldiers coming back from Europe before late November 1918. “In the United States, the disease was first observed in Haskell County, Kansas, in January 1918, prompting local doctor Loring Miner to warn the U.S. Public Health Service’s academic journal. On 4 March 1918, company cook Albert Gitchell reported sick at Fort Riley, Kansas. By noon on 11 March 1918, over 100 soldiers were in the hospital. Within days, 522 men at the camp had reported sick. By 11 March 1918 the virus had reached Queens, New York. Two of my grandmother’s brothers died during that epidemic. I was looking with interest at the paper someone posted upthread about salicylate toxicity and mortality during the Spanish flu epidemic. I’m going to give that some more thought–they may be onto something there. However, one thing that can’t be overlooked is the lack of antibiotics during that era and a lack of understanding that bacteria and viruses really do cause disease. The existence of viruses wan’t suspected until the 1890’s and the first virus wasn’t seen under a microscope until the 1930’s when the electron microscope was invented. It’s estimated that upwards of 80% of fatalities weren’t caused by the flu itself but by secondary infections, specifically bacterial pneumonia which can kill within hours without immediate treatment. Even today, most flu deaths are caused by associated pneumonias. Also, the upswing in the incidence of CHD beginning in the early 20th century has been linked to exposure to the 1918 H1N1 strain as well as to outbreaks in 1957 and 1968. (There was another one in the 1930’s, around 1933, but I haven’t seen any stats on that one.) Gordon and Thom first suggested in the mid-70’s that the sharp decline in CHD deaths after 1968 may be directly related to an absence of big influenza epidemics after 1968. We’ll just have to wait and see what the rate is from the 2009 outbreak. Cook me up some data and some trees. And go out to the car and let’s conspire. Wash my graphs and sew my old blue jeans. And come and tell me why you’re leaving me. We had a normal January thaw in Illinois not too long ago. Predictably, the contrast with -15 F was proof of extreme weather and …. well you know. It goes without saying that whatever happens next drought, flood, F5 or flu wise, the water cooler conversation concerns “the climate.” So it’s warm in Europe and Australia and NOAA may very well conclude that, after adjustment, January is the hottest *ever*. All I want to know is if that warm spot in the Gulf of Alaska will have the Deadliest Catch guys fearing global warming because they have less ice to chip off their boats. The only good thing about this cold (-2F this morning) is that the neo-stalinists in the megalopolis (DC to Boston) get inconvenienced. It might convince a few more not living off the public trough that AGW is a farce. About 8 years ago it was +2 deg C this time of year with no ice on my pond. This year it was -30 deg C this morning and parts of the pond have frozen right to the bottom (over a foot of ice). Do I worry about a gradual 0.5 deg C increase in world temperatures over the next 50 years or whether the propane truck shows up this week so my pipes don’t freeze? 1045 and 1 deg F here in central Maine. We busted thru $4.25 May Natural gas earlier, which triggered alot of buying(probably many buy stops resting there) and are just below. If end of season storage would drop close to 1T, it would be shocking and you would make tons of money on each contractbe a rich man. Last year, we bottomed just below 1.7T in storage and that was with some sustained cold from this point on. In order to drop below 1Trillion Cubic Feet in storage, we would need to take out of storage more than another 300 billion cubic feet than we did vs last year(since we are at -372 bcf vs last year right now). Late last Winter and early Spring were very chilly and saw sustained big drawdowns. It will be hard to beat that by such a wide margin. The -AO pattern over the last week and now is pushing the cold hard in the eastern half of the country, that uses the most ng(while the west is getting the flip side. I was thinking the AO may increase and the cold gets directed farther west and the East Coast could moderate as we get into early Feb.
One thing that has been a theme this cold weather season with the models in week 2 is that they underestimate the tenacity of this cold weather delivery pattern and from time to time, attempt to break it down with a strong southern stream jet, undercutting from the Pacific and spreading mild oceanic air zonally across the country. We have managed to do that for brief periods on several occasions but the models, like the 06Z GFS go in that direction every once in awhile, then come back to reality and show a continuation of bitter cold. There are however, some increasing signs of a pattern change as we enter early Feb and the potential for the mild oceanic air to undercut the cold and spread east for a time but with low confidence because the tools used at that time frame have not been too reliable. Dialing in persistence with decent weight has oftenworked best when models try to change things this Winter. They did, however catch the change of the AO from positive to negative earlier this month, and the intense focusing more in the East. This pattern of more frequent cold weather in North America has been going on since 1998. The unique aspect of this winter cooling is that the winters have been getting colder in every region and state in United States and Canada since 1998 except the far Canadian north and the Atlantic Coast provinces [due to a warm Atlantic] . However since 2010 these areas are also now cooling. As the decline of Northern Hemisphere SST continues and North Atlantic and North Pacific Oceans SST continue to decline, winters like we are just having may be more frequent. The colder winters are stretching into a cooler spring( as in Canada) and even starting earlier in the fall( as in United States) This pause in the rise of global temperatures could run until 2035/2045 as the ocean cycles pole to pole run for 30-35 years [like 1880-1910 and 1945-1975] . Strong El Ninos like 1997/1998 happen less frequently during cool ocean phases [last one 1877/78] It is a pity that the warming alarmists sidetracked the entire globe from what really may lie ahead. 1062mb is only 2mb shy of the highest pressure ever in the US (Christmas 1983). Meh…..half the country is cold, the important half (my half, since I live in Washington, and no, not the city of Washington) is warm. Quite frankly, it’s NOT national news when its cold in DC or NYC. But that’s my gripe on the eastern bias. More important IMO is that the entire west coast is in hard drought conditions. The Sierra have very low snow totals. The Cascades are ~1/2 of normal. Unless this pattern breaks, there will be severe consequences for California agriculture. Western Washington depends heavily on winter snow melt to feed the reservoirs to supply the urban areas with municipal water during the summer. Except it wasn’t. NCDC has added about 1C of additional “warming” (mostly by cooling the past) in their adjustment procedure. Several weeks ago, I entered a post about “predicting the weather” via the phase of the Moon and was told by a resident expert hereon that such predictions are little more than fanciful. I told him I agreed …. but that I was an adamant believer in this one. Well now, being that we are now experiencing an extended uncommon “cold spell” of extreme low temperatures that we haven’t been subjected too for several years now, I will be brave and make my prediction as to when this “cold blast” will end. My prediction is based on what I was told many years ago, early 1970’s to be more exact, and has served me well in the years since, ….. so we will see iffen I get lucky again. Thus said, my prediction is that this “cold blast” will terminate on January 30th or 31st at the latest and the temperatures will begin their rise back to “normal”. I didn’t see anyone here mention it yet, but there is a superb book on the 1918 influenza pandemic: The Great Influenza by John Barry. The book contains a chilling description of the cytokine storm, by which the immune system basically destroys the lungs in an attempt to fight the virus. Once I read that, I never failed to get my annual flu shot! Here is a link to a summary of the Hoyle/Wickramasinghe paper which includes the missing graphics. Alarmism is beneath you. Correlation = Causation is beneath you. Argument by innuendo is beneath you. The 1918 flue epicemic had more than cold weather. It had a virulent easily transmissable virus and a vector – the returning servicemen and GIs that carried the flu to the far corners of the earth. Save the alarmism for the alarmist sites. I’ve read from several very convincing sources “Spanish ‘flu” spread on the back of the millions who were jabbed straight after WW1. Countries that did not get the jab were almost unaffected. No, I’m not going to be satisfied unless it stays below zero for several weeks at Edward Markey’s house in MA. You can add State College, PA to list also. I looked it up. Most of the fatalities were not caused by aspirin toxicity. In fact there is no forensic evidence at all of any aspirin toxicity. Just speculation that some doctors may have over prescribed aspirin for some patients. 75 million people died from the flu. There is a story out today at Bloomberg that attributes part of the ongoing price spike in U.S. propane heating markets to record amounts of inventories used up for grain drying in the Midwest during harvest season. Now I just wonder what government mandate that happens to use food for motor fuel blend could possibly cause that much market distortion now spilling over to punish home heating users today? I signed up as a charter subscriber to Weatherbell because of Anthony’s plug. It has been an education to say the least. I have the highest respect for D’Aleo and Bastardi. 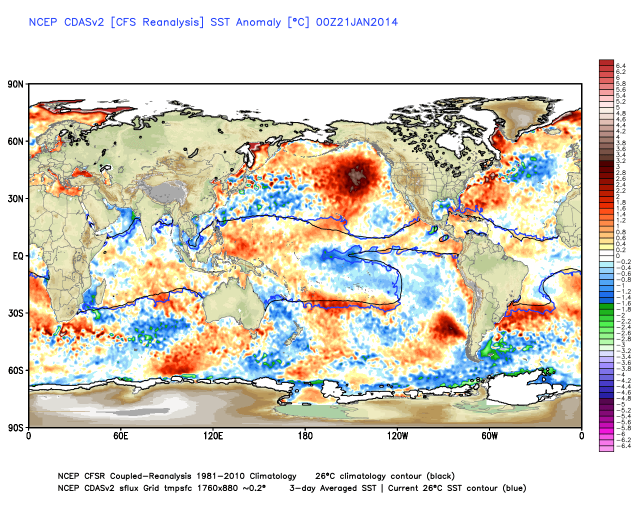 Their analog reconstruction of ocean phases with past year’s correlations is a good method for long-term forecasts. Anthony is right they are on a roll this winter. Joe Bastardi would tell you Joe D’Aleo is the genius (he is probably right) but they both have given me a great meteorological education. Bastardi is always trying to get out in front of the models: he gets run over once and a while. He loves risk. D’Aleo is always digging up the most interesting correlations between solar and weather. Weather History: he does remember 1918 as though he were there. If you can afford the twenty bucks a month it costs to subscribe to Weatherbell you will get a great education. For me its worth the money. Thanks Anthony! I have never had a flu shot in life. I rarely ever get sick and that has been that way since the 70s. However, I did get clobbered in 1954 in San Francisco. I was 4 years old. The cowboys and indians on the wallpaper were chasing each other around the room, quite a show. My temp was up to 106+. I remember the doctor talking with my parents, and answering their question ” If his lung starts to collapse, then we can put him on an iron lung but that is all we can do. The flu that I had was very likely the same flu that killed dozens of people in San Francisco and points south. This flu was released off of the coast as a biological warfare experiment. It was exposed by the 60s and the lawsuits over the deaths went on for the next 3 to 4 decades. Only by the grace of God did I survive that. I remember that experience. citing a study on only 10 mice given a “lethal dose” of murinized swine flu. The study shouldn’t have been published. All human studies on NAC demonstrate a benefit. NAC – cheap, safe, no patents, no priestly caste of doctors needed to give you permission. Every winter after 1954, I would get heavy sinus conditions, and I also remained susceptible to flu bugs. When I left SF in 1969 and moved to the mountains that was the end of the sinus condition and ever since I have been very flu resistant. Mark Maguire: Wow, NG prices blew way past my mark of $4.50 this morning, so I only put a stop-order in. Price went up further, so I raised my stop this afternoon. They are forecasting the price to hit $5, and storage to drop to 1.256 T cu ft by end of March. Tomorrow’s report on the current draw-down rate will help show where we are headed. Yeh, 1 T level would be a stretch, but two or three more of these Arctic air blasts would have us knocking on the door. At this point I think most people would not object to more global warming. Heat’s a witch, but cold is a killer. My sympathies to those on the West Coast suffering drought, but if you are familiar with the history of south-west droughts you know it could get a whole lot worse naturally (research the fall of the Anasazi culture). I’ve just received notice from my propane supplier that there is a severe shortage here in the Midwest. They are limiting deliveries to 150 gallons, and then only to customers with less than 15% in their tanks. They are urging us to use alternate sources of heat if possible, and they are not sure if these measures will be sufficient. Hope we weather the storm, and it gets warm enough that my heat pump will function. No it wasn’t, all the other global data sets didn’t agree, enjoy your cherry. I wont use any global data set that regularly cool down past temperatures from decades ago. I visited that yahoo site mentioned in the article, where they implied the cold snap may be caused by global warming, and they falsely said arctic sea ice is rapidly decreasing. I noticed that their comments section is down, so no one can leave or read comments. I suspect people visiting from wattsup injected enough factual comments that someone decided to shut it down. Looks like one last gasp of mother earth before she sucuumbs to global warming. She is putting up a fight and we can all say she fought to the end. Australian ABC has now defined 35C (83F) as extreme heat. When I was young 45C (108F) was described as ‘hot’. Says a lot about present population that live and work in air-conditioning. They are brainwashed to think 35C is extreme and coming out of a 25C building it does feel hot and they buy the Global Warming mantra. 1965 in Central Queensland (Tropic of Capricorn) we had a real heat wave for 10 days of 45C – 47C. In 1976 we had a very cold winter when all the wheat crops were frosted and ice formed on troughs. Both examples are weather. Well. I’m glad Joe D. gave us the forecast up until Feb 2. After that, good ol’ Punxatawny Phil will tell us what to expect. I use propane for my work of glassblowing, so propane prices this winter are definitely hurting. I can go through over 500 gallons in a month. Speaking of propane, remember that famous 70’s song about propane? “If you wanna hang out, you gotta break out, propane. If you wanna get down, get down on the ground, propane. She don’t lie, she don’t lie, propane. She don’t lie, she don’t lie, propane. If your day is done and when you wanna run, propane. If you got bad news, you wanna kick them blues, propane. If your thing is gone and you wanna ride on, propane. Don’t forget this fact, you can’t get it back, propane. They have been wrong about the rain too. Most yrs there is at least some occurrence of a late ‘January thaw’ here in the mid-Appalachians — a day or several of well-above avg temps. Be interesting to see if that happens this yr. Exactly. I did my Leaving (High School year 5 public examinations) in the iron-roofed exhibition hall at the Adelaide Showgrounds. In December. There was no A/C. Temperatures inside reached 112F. (In 1962 we still used Fahrenheit for weather.) And we stuck it out. The talk about the flu and medicine reminded me of my Great-grandmother. When she was in her 20’s at the turn of the century she caught a cold and went to the doctor. He told her to take a shot of whiskey when she got up in the morning. She did. And that’s all she ever drank. One shot of whiskey in the morning every morning for the next 60+ years. So, if we are starting out like 1918, how did the rest of 1918 go for the US? Just throw another hockey stick on the fire. And this pattern is not waning, its becoming more solid leading me to believe late spring storms will be a reality along with cool ground temps into late spring. Most of the pandemic cases among the military were with troops who hadn’t yet been deployed out of the US to the war. It was said that more military casualties from the pandemic while in the US than there were in the the actual war. This is a publicationwhich refers to the influenza pandemic in 1918.Dr Lance Jennings is a New Zealand virologist known to me. who has spoken of influenza pandemics in lectures for the non medical public. It has been a bit colder here in Austin, TX. However, our average high has been about 60 F and average low about 40 F in the past 2 months. We’re still much better off than most areas. Stay warm, Northerners! Don’t worry, it’ll be hot somewhere, that will totally skew the totally meaningless “global temperature” via the Mannomatic or the Hansenomatic. Just wait, January 2014 HOTTEST EVER!! Hoyle explicitly said that his team measured infrared signatures in space that they could only interpret experimently as desiccated cell bodies / membranes. Personally, I suspect that they missed discovering the extraterrestial carbon buckyballs that got Richard Smalley the Nobel prize. ….We’re still much better off than most areas. Stay warm, Northerners! I am in the sunny southeast (mid North Carolina) and it is &^%$ 14 °F (-10 °C) The normal Min. for today is	31 °F… BRRRrrrrr It is colder here than it is in Washington DC! Kolata, Gina (2011-04-01). Flu: The Story of the Great Influenza Pandemic of 1918 (p. 136). Farrar, Straus and Giroux. Kindle Edition. I wonder if Joe D’Aleo or Joe Bastardi think this prolonged period of cold weather is any indication of what this Summer will exhibit. Moreover, I wonder if they believe that we are headed for a little Ice Age as Russian scientist Habibullo Abdusamatov has forecasted (as early as 2014). Looking at current storage, after todays EIA storage stat -107bcf we are -491 bcf lower than last year, so if drawdowns are over 200bcf more than last year, we would have a shot at ending the season at 1Tcf. Late last Winter and early Spring saw sustained big drawdowns that went a couple of weeks later than usual and caused ng prices to rally after mid Feb 2013. It would be hard to beat that chilly weather but if this pattern continues……….we could have a shot. IF we close lower on your ngk4, its a reversal lower after the spike higher to new highs for the moves and looks bad. The spike higher overnight probably was panic buying, short covering. I am in the sunny southeast (mid North Carolina) and it is &^%$ 14 °F (-10 °C) The normal Min. for today is 31 °F… BRRRrrrrr It is colder here than it is in Washington DC!